Dr. Hayek believes that beauty is very personal and applies this belief to highlight the uniqueness of every individual. Dr. Hayek is a well rounded Plastic Surgeon with a unique combination of skills that enable him to give his clients a natural and well-enhanced image for their face and body. Dr. Hayek is a member of several national and international societies such as the Lebanese Society for Plastic, Reconstructive and Aesthetic Surgery, The World Association for Plastic Surgeons of Lebanese Descent, The American Burn Association, The International Society for Burn Injuries, The American Society for Maxillofacial Surgery, The European Association for Societies of Plastic Surgery, and the American Society of Plastic Surgery (ASPS). 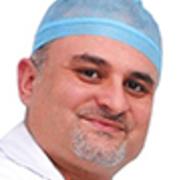 In addition, he has been recently elected as the Secretary General for the Lebanese Society for Reconstructive Microsurgery, and as the Scientific Coordinator for the Euro-Mediterranean Council for Burns and Fire Disasters. Recently, Dr. Hayek was elected as an Active Member of the American Society for Aesthetic Plastic Surgery (ASAPS). The letter sent to him read as the following: “Dear Dr. Hayek, congratulations on your recent election to Active membership in the American Society for Aesthetic Plastic Surgery (ASAPS). Envie três fotos hoje e veja uma simulação 3D durante sua próxima consulta com Dr Shady Hayek. Veja seu atual corpo/rosto em 3D antes da consulta e tenha acesso desde casa para ver simulação e compartilhar com amigos depois da consulta e assim tomar uma decisão mais segura. Depois da consulta com Dr Shady Hayek, é possível pedir acesso e também compartilhar com seus amigos e familiares e ter opiniões.